The minimum number of people for this tour to run is 3. If you make a booking for fewer people, we will let you know in well in advance if the tour will run. Pickup time is usually around 9:30 a.m. The exact time will be confirmed 48 hrs before the tour starts. We return you to the pickup point at around 6:00 p.m.
Our public tour runs in English. 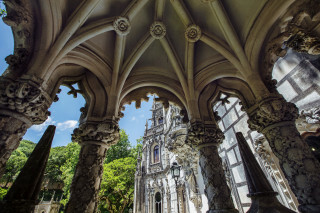 For private tours, options are English, French, or Portuguese. Children aged 3 and under can join the tour for no charge. Pickup at hotel or the agreed-upon location (in central Lisbon). 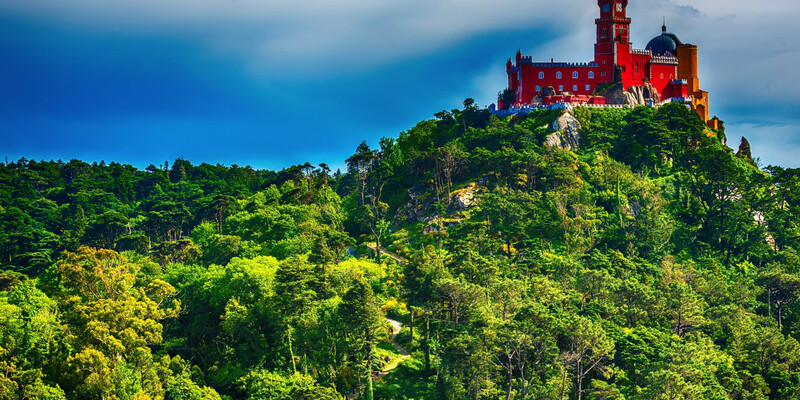 The Sintra Hills are no ordinary hills. 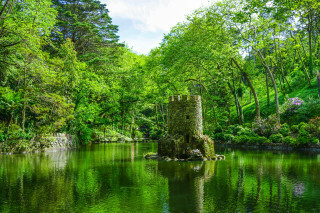 Like a page from a story of extravagant kingdoms, they have everything from sparkling palaces to exotic gardens. The hills themselves are magical, rolling down into the blue waves of the Atlantic. It is there that we begin the tour after our 9:00 a.m. pickup and an about 30-min drive. 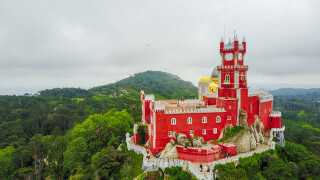 We take a look inside the Pena Palace, a UNESCO World Heritage Site and a stunning example of the 19th-century romantic architectural style. 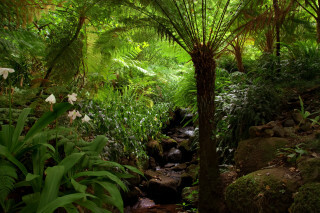 With colorful, decorative terraces and glamorous features, it beautifully contrasts the green forests that surround it. 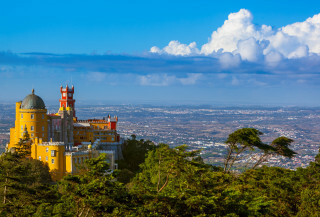 You have a chance to admire panoramic views of Lisbon from the palace's balconies before taking a pleasant walk around the area's gardens - which include over 500 different species of trees - and otherwordly mansions. 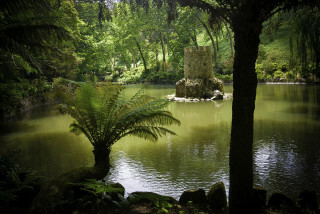 We then head to the delightful village of Sintra. Speckled with historic villas and attractive shops, you roam its streets and can do a bit of shopping and taste fresh local pastries along the way. 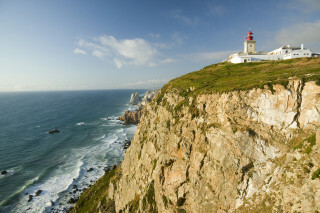 It is then time to stand on the westernmost part of continental Europe: Cabo da Roca, a rugged headland where the Atlantic's wild waves pound against rugged sea cliffs. A single lighthouse stands over the rocky coast. Thought to be the edge of the world in the 14th century, there is an energy of isolation and wonder as you stare into the horizon. 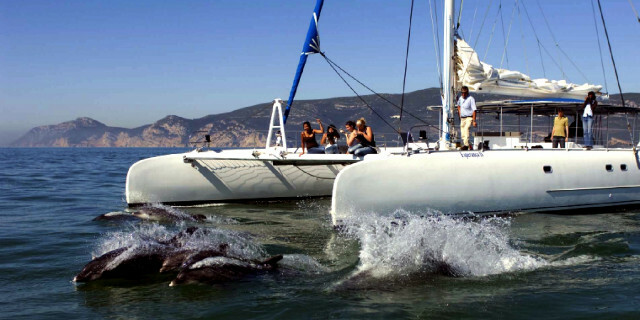 Our drives include navigating narrow roads far from the tourist crowds and moving down coastal roads, where the ocean meets the Tagus River. 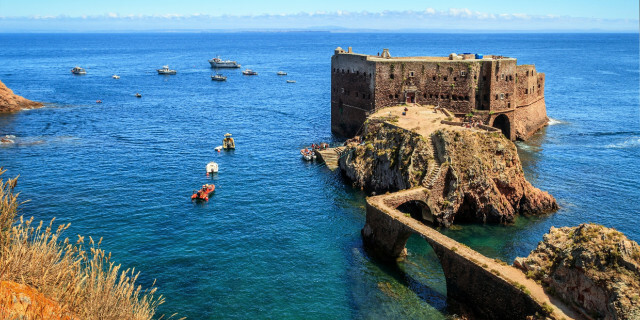 We stop to explore the fishing village of Cascais, which was once home for kings in exile. Finally, we head back to Lisbon along the Avenida Marginal road, with views of the Estoril Coast. 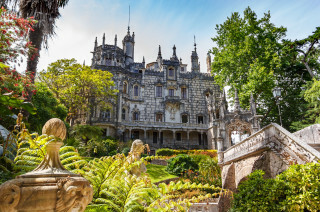 One of the most fascinating day trips you will ever take, this tour gives you the full experience of a fairytale world, showing you why Portugal offers much more than the city life of Lisbon.